VIDEO: The Board of El Paso County Commissioners recognized the ongoing need for all residents to be prepared in case of wildfire, flood, blizzard or other emergency. 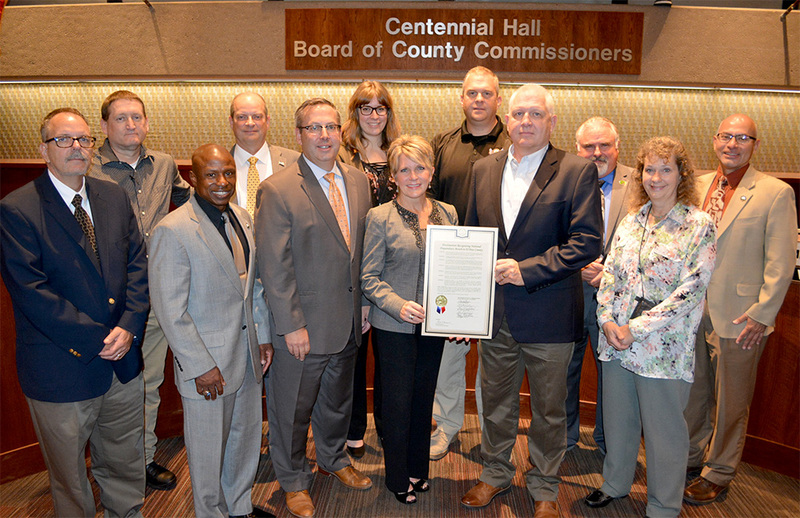 At its regular meeting on Thursday, the Board proclaimed September 2018 as National Emergency Preparedness Month. During National Preparedness Month, El Paso County will hold a CERT storm exercise to hone CERT volunteer skills. The County has also joined forces with the City of Colorado Springs and Manitou Springs a pair of emergency exercises to practice an evacuation near Manitou Springs and enhance emergency management skills in case of a flash flood caused by a dam breach. The Office of Emergency Management encourages all residents to have a “go kit” in case of emergency, know what your local risks are, have a plan to address those risks, devise an evacuation plan, and register cell phones with the El Paso-Teller 911 Authority (https://elpasoteller911.org/). To learn more about El Paso County OEM’s preparedness programs and exercises, visit the Office of Emergency Management web page at www.epcoem.com or call 719-575-8858. And to learn more about National Preparedness Month, go to https://www.ready.gov/september.